In stock -This product will ship today if ordered within the next 1 hours and 12 minutes. 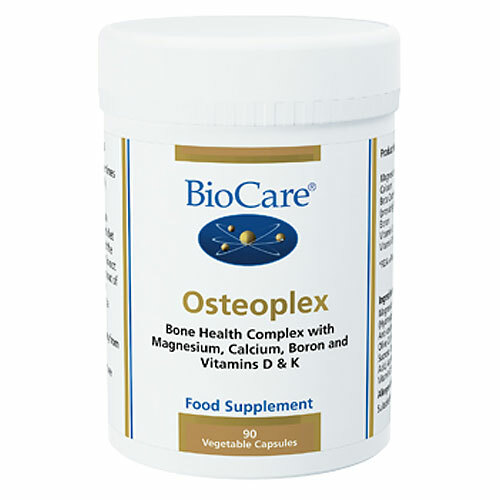 Osteoplex is a bone supporting combination of the minerals magnesium and calcium. These minerals are bonded to citric acid to form bioavailable citrates. 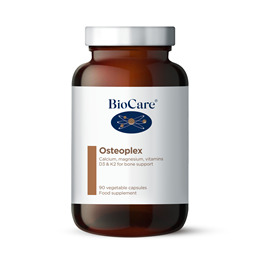 Osteoplex has the added support of sodium borate, beta carotene (providing vitamin A), together with vitamins K and D. Citrates are easily assimilable as they require little acidification prior to absorption. Magnesium Citrate, Calcium Citrate, Capsule shell (hypromellose), Modified Corn Starch, Anti-caking Agent (Magnesium Stearate), Beta Carotene, Olive Oil, Sodium Borate, Acacia Gum, Sunflower Oil, Sucrose, Corn Starch, Natural Mixed Tocopherols,* Ascorbic Acid, Ascorbyl Palmitate, Vitamin K1 (as Phylloquinone), Vitamin D (as Ergocalciferol). Take 3 vegicaps daily with food, or as professionally directed. Not suitable for individuals with a history of kidney diseases or kidney inflammation. 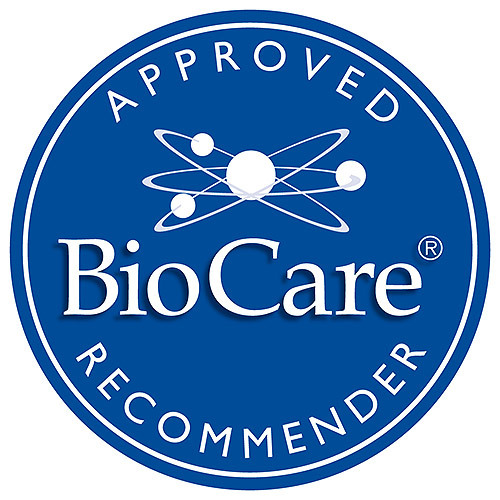 Below are reviews of Osteoplex - Bone Support Complex - 90 Vegicaps by bodykind customers. If you have tried this product we'd love to hear what you think so please leave a review. Osteoplex is a bone supporting combination of the minerals magnesium and calcium. It provides nutrients to support the bodys requirements for strengthening the skeletal system.